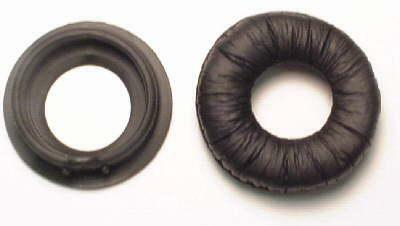 Plantronics 46186-01 Ear Pads .. Included with the purchase of S12 CT14 or M175C convertible headset. Donut shape cups the ear for maximum sound. Do not use alcohol to clean or it will damage the surface. Clean with BTP Headset Cleaners available on this web site. Product Type: Ear Cushion. Material: Leather.